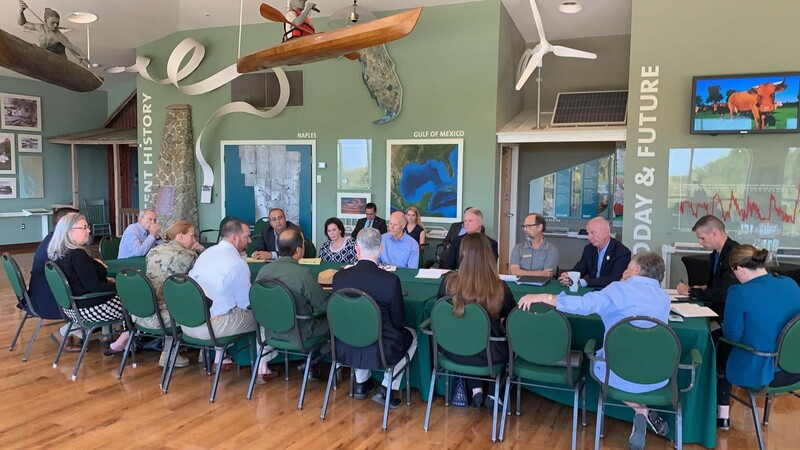 Senator Rick Scott is in Naples on Monday, announcing environmental issues about Lake Okeechobee and the Florida Everglades, at the Rookery Bay Environmental Learning Center. Scott spoke about restoring the Everglades and making repairs around the dike that surrounds Lake Okeechobee. Both projects are vital to ensuring our water quality. Scott joined with environmental leaders to talk about their concerns about getting these projects funded and completed on a timely schedule. He also pointed his finger at the federal government. While the Florida Fish and Wildlife Conservation Commission Chairman Robert Spottswood said without the money to finish this important work, the results could be disastrous, implying there is a lot at stake.